If you are a home builder, general contractor, or remodeler, we encourage you to let us take over your upcoming countertop installation project in Mooresville, NC. At , we realize that the countertop installation process needs to be handled with precision. 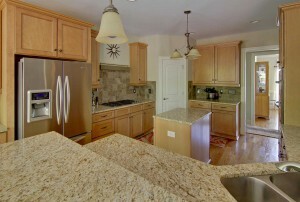 Otherwise, the functionality and the aesthetics of your new countertops could be compromised. Fortunately, when our team works on countertop installation jobs in the Mooresville, North Carolina area, we take the time to ensure that things are done right and quality is maintained. If you are a home builder, general contractor, or remodeler, we encourage you to let us take over your upcoming countertop installation project. Not only will we make sure the new countertops are installed correctly, but we will also make sure your project remains on schedule. We realize that the countertop installation process is often only one aspect of a remodeling or building project and will make sure it does not interfere with the other items on your agenda. As our installation crew works at the jobsite, they will maintain an impressive level of professionalism and always be there to provide you with any information you might need about the countertop installation process. Our goal is to make things easier on you, so you can focus your time and energy on other aspects of your project. If you would like to see samples of our work or find out more about the state-of-the-art equipment and techniques we use when we install new countertops, please contact us at today. We look forward to helping you with your upcoming project and to exceeding your expectations.